Looking for a fast-paced, 35–minute, audience participation, situation comedy magic act, including eccentric balloon routines, a straight- jacket escape and mind reading? 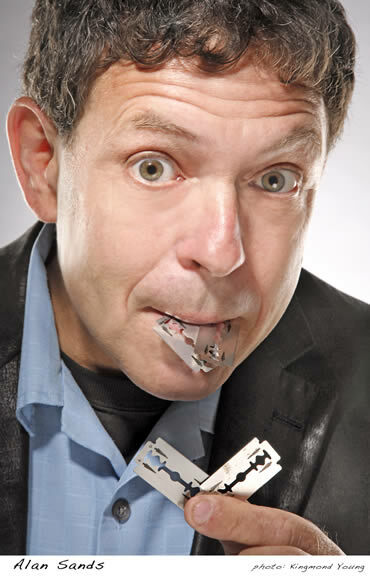 Alan Sands is a world-class act and has toured his prop-comedy act internationally from China to The UAE, South Africa to Malaysia. Are his zany antics 'funny ha-ha' or 'funny strange' ? Well—both! 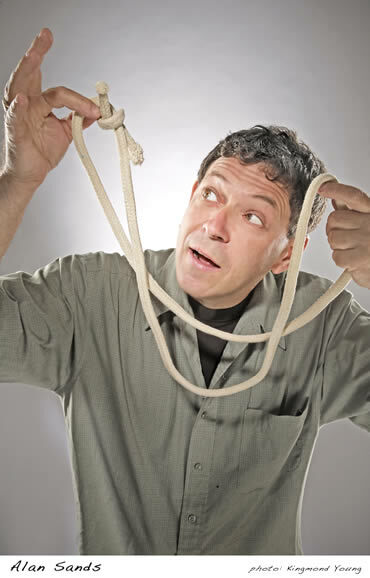 Alan’s Background/Bio reveals that Magician Alan Sands is a third generation magician—the son of renown magician and author George Sands (famous among magicians worldwide for Sandsational Rope). 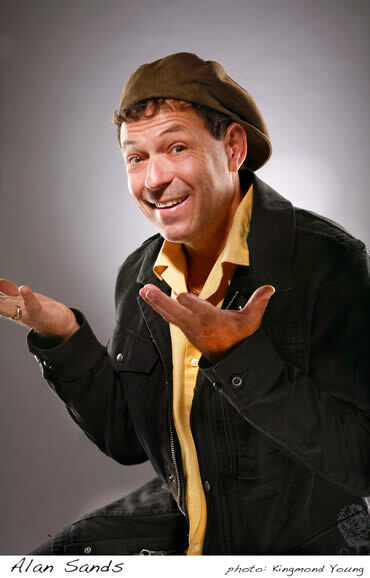 But what sets Alan Sands apart from other prop comedians is his ability to entertain all age groups, separately or combined. He can make adults laught until they cry, yet his fast-paced animated antics can keep the attention of children riveted too. "At the alaska state fair you sponsered a magician named alan sands. I laft till I pead my pants. I hope to see him again next year. please bring him up agen. P.S: everybodey laft there heads off there. I went to see him 15 times. I liked his hipmatism show allso." Alan’s comedy finale’ is shown here, performed in in Bejing, China, for 5,000 Americans on July 4th. Need Versatility? You found it! that have used this comedy magic act with awesome success! Print this One-Page PDF Brochure with all the info you need! Alan Sands has taken his show to 46 U.S. states and Canada; to Beijing, China; Malaysia; South Africa; and Dubai, in the United Arab Emirates. Other markets include fairs, festivals, exhibitions and amusement parks; company picnics and corporate parties; cruise ships, casinos, and comedy clubs.